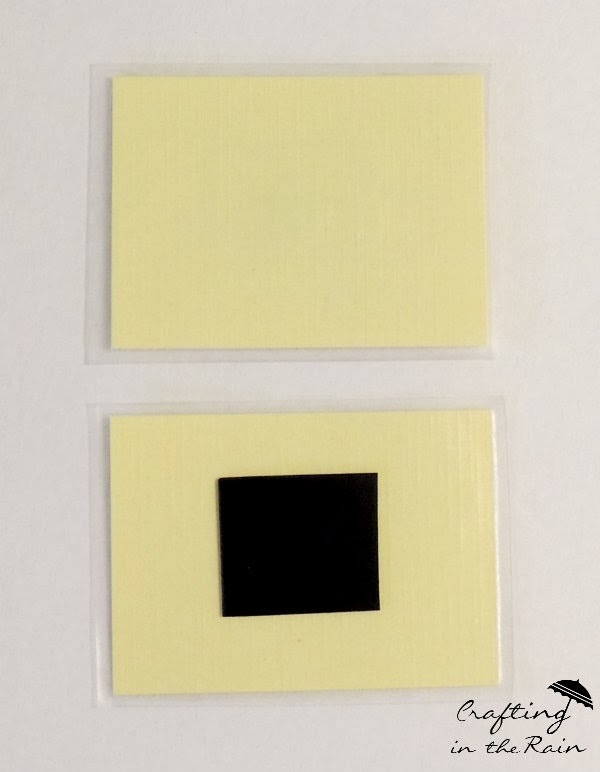 My buckets are metal, so I made small labels from cardstock, sealed them in clear contact paper (a laminator would be awesome too – this is a great one ) and glued a small piece of magnet to the back. 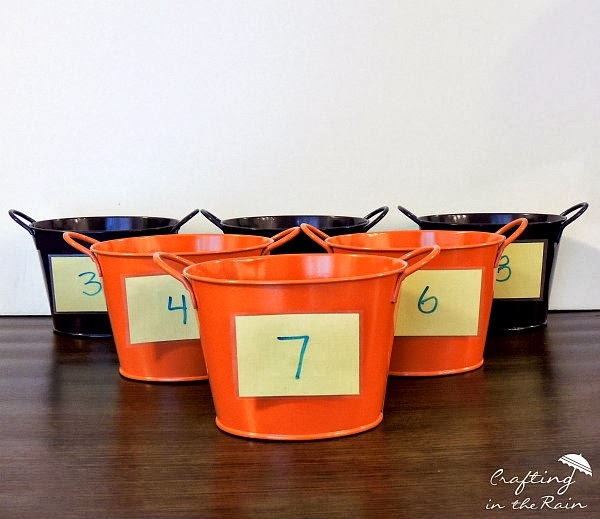 Now I can easily change the numbers on the buckets with a dry-erase marker. Another option would be to attach chalkboard labels to clothespins and clip those to the tops of the buckets. 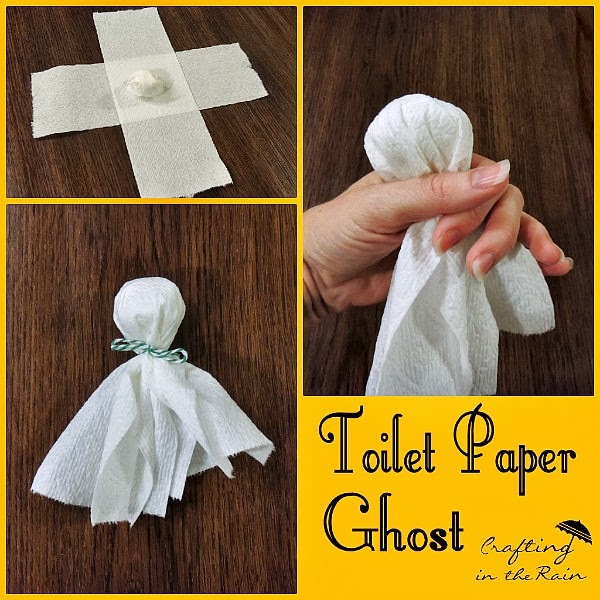 To make the ghosts you need 3 strips of toilet paper, each 3 squares long. Lay two pieces across each other. Roll the other piece into a ball and place in the center of the other two. Wrap flat pieces around the ball, gathering to make the head, and secure with a piece of string. Add two eyes and a mouth with a marker. Make at least 3 ghosts. 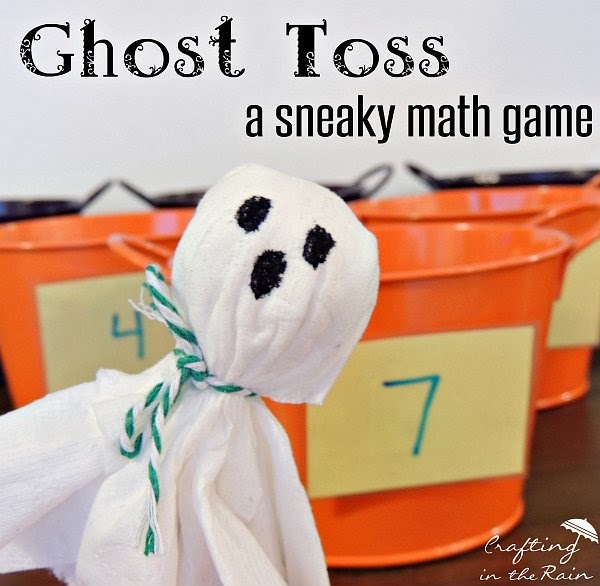 To play the game, have a child toss the ghosts, one at a time, until they get 2 ghosts into a bucket (it’s ok if they’re the same bucket) Then based on their skill level, give them a math problem with those two numbers. For example: 4+7 or 8-3 or 5×5. 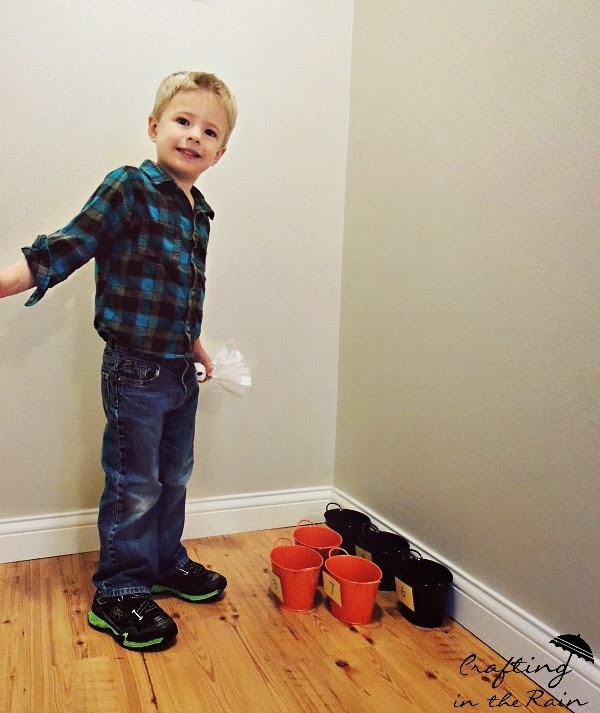 For preschoolers, they could even just identify the number. So many possibilities here, right? Would your kids like this game? I hope you give it a try and let me know! « Disney Craft Ideas 50 More!